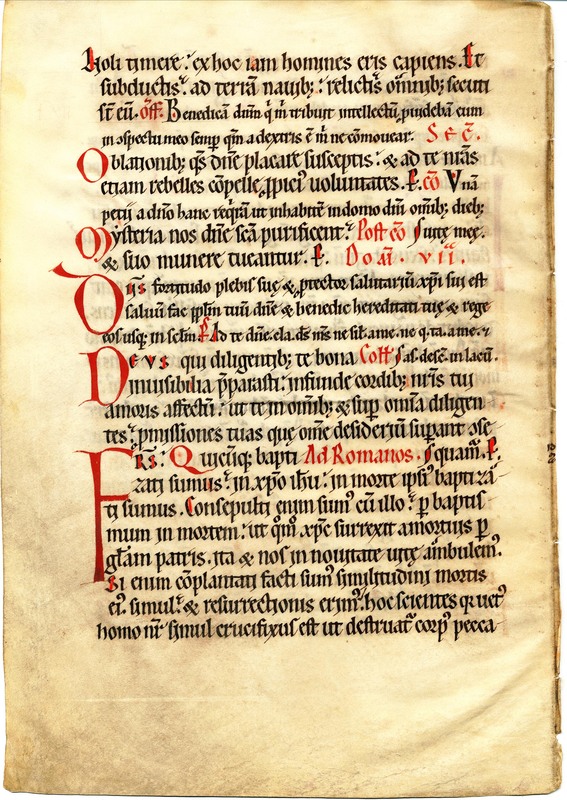 This twelfth century Spanish missal is 34 x 23.5 cm on slightly yellowed vellum with binding holes noticeable along the left recto side of the leaf. 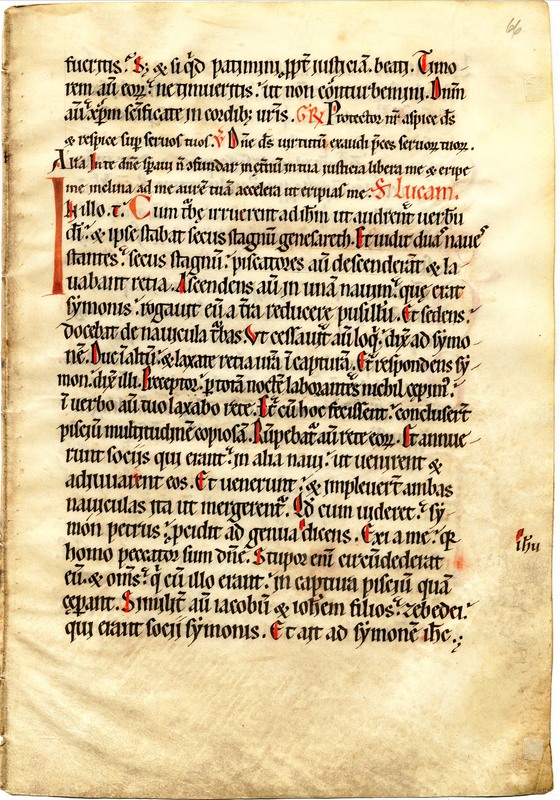 Lined with lead plummet or very light ink, the text, described by Ege as gothic minuscule, is in black ink with enlarged initials and phrases highlighted in red-orange. See Denison University Leaf 02 for more information on this manuscript. Text: This leaf contains text for the 6th and 7th Sundays after Pentecost: Luke 5:1-10 (recto); Luke 5:10-11 and Romans 6:3-6 (verso). Responses not yet transcribed. Noli timére: ex hoc jam hómines eris cápiens. Et subdúctis ad terram návibus, relíctis ómnibus, secúti sunt eum. Fear not: from henceforth thou shalt catch men. 11 And having brought their ships to land, leaving all things, they followed him.